For sure, you have that friend who posted “Wake me up, when September ends” on Facebook or even tweeted it on the Twitterverse. Well, we can’t really blame them. The month of October has a lot to offer. Aside from being the second ‘ber’ month of the year, it is also the much-awaited month in Germany. Why? For three things; food, fun and BEERS. Oktoberfest is the largest beer festival in the world. Held annually in Munich, Bavaria, Germany, Oktoberfest is a 16- to 18-day folk festival running from mid or late September to the first weekend in October. It is estimated that yearly, more than 6 million around the world fly to Germany just to experience this unique festivity. 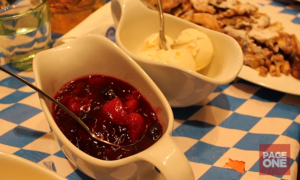 Being part of Bavarian culture, Oktoberfest has been celebrated for almost 200 years since 1810. During the event, there will be a plateful of traditional foods on the table. 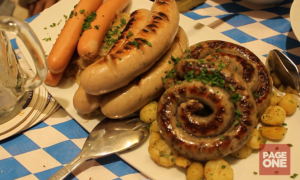 From the different variety of German sausages, roasted grubs to tasty and sweet desserts, all will challenge your appetite. Oktoberfest is nothing without this “liquid gold.” Beer is the main important thing in the celebration. 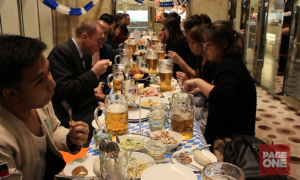 Every year, Oktoberfest alone consumes over 6 million liters of beer. Special beers are served during the event. Only beer conforming to the Reinheitsgebot, and brewed within the city limits of Munich, can be served at the Munich Oktoberfest. 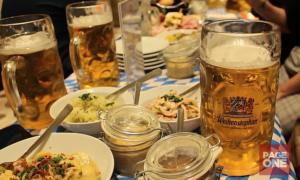 To preserve the quality and authenticity of beers, only members of Club of Munich Breweries can produce Oktoberfest beers including Augustiner-Bräu, Hacker-Pschorr-Bräu, Löwenbräu, Paulaner, Spatenbräu and Staatliches Hofbräu-München breweries. Aside from overflowing traditional food and beers, Oktoberfest is also a celebration of camaraderie among the festival goers. Visitors can also enjoy numerous attractions, such as amusement rides, sidestalls and games. During the event, goers can socialize and meet new friends. Share different stories, and understand each other’s way of life. Looking at the wider perspective of the festival, Oktoberfest is more than a beer fête, it is indeed a celebration of music, culture and friendship. And to let Filipinos experience this fun celebration, Solaire Resort & Casino brings you its first ever Oktoberfest from October 12 -15. Complete with traditional quirks and the unforgettable charm of Tomays Spezlwirtschaft, a live band will be flown from Germany to perform only the best Oktoberfest hits. You may now book a table for dinner from October 12-14 or a lunch buffet on October 15. For reservations call +63 2 888 8888 or email us at restaurantevents@solaireresort.com.